616 pages | 4 B/W Illus. 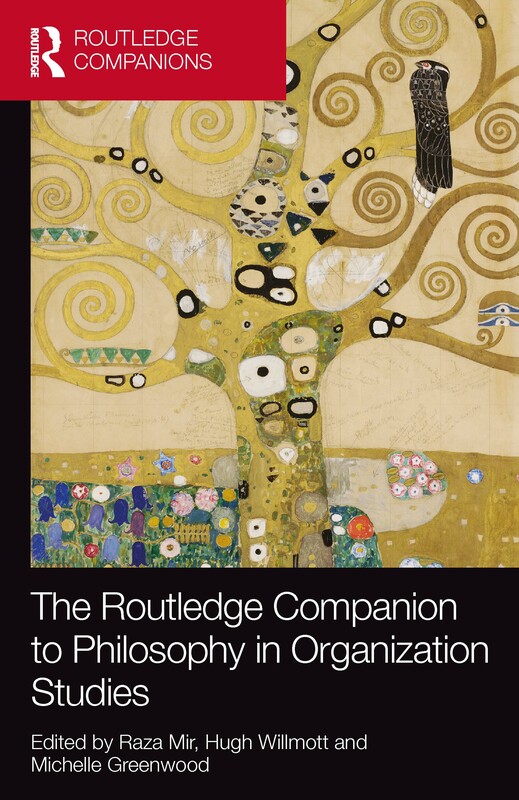 The Routledge Companion to Philosophy in Organization Studies provides a wide-ranging overview of the significance of philosophy in organizations. The volume brings together a veritable "who’s-who" of scholars that are acclaimed international experts in their specialist subject within organizational studies and philosophy. Foundations - exploring philosophical building blocks with which organizational researchers need to become familiar. Theories - representing some of the dominant traditions in organizational studies, and how they are dealt with philosophically. Topics – examining the issues, themes and topics relevant to understanding how philosophy infuses organization studies. Primarily aimed at students and academics associated with business schools and organizational research, The Routledge Companion to Philosophy in Organization Studies is a valuable reference source for anyone engaged in this field. Raza Mir is a Professor of Management at William Paterson University, USA. He currently serves as the Chair of the Critical Management Studies Division of the Academy of Management. Hugh Willmott is the Professor of Management, Cass Business School, City University, London and Research Professor of Organization Studies, Cardiff Business School, Cardiff, UK. He is currently an Associate Editor of Academy of Management Review. Michelle Greenwood is Senior Lecturer in Business Ethics at Monash University, Australia. She currently serves as an Associate Editor at Business & Society and Journal of Business Ethics.